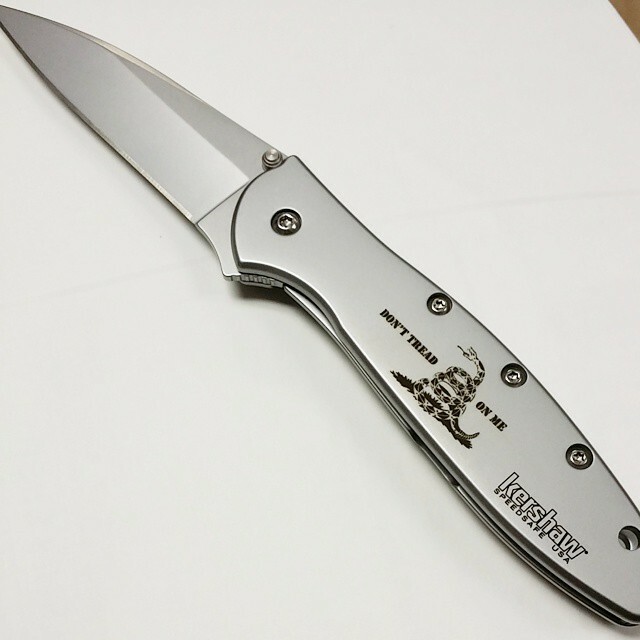 This Kershaw Leek knife has the famous Gadsden artwork laser engraved on the handle. 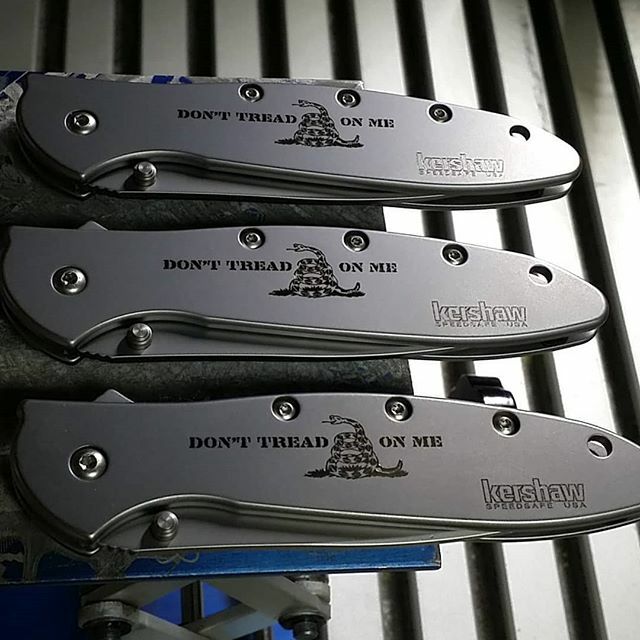 The coiled rattlesnake and the words, Don't Tread On Me, appear on either side of the snake. The Gadsden artwork was developed back before the revolutionary war when England commonly sent criminals to the USA instead of housing them in their own prison system. The newspaper featured the coiled snake with the suggestion that maybe we should send rattlesnakes to England in return to the criminals they were sending here. 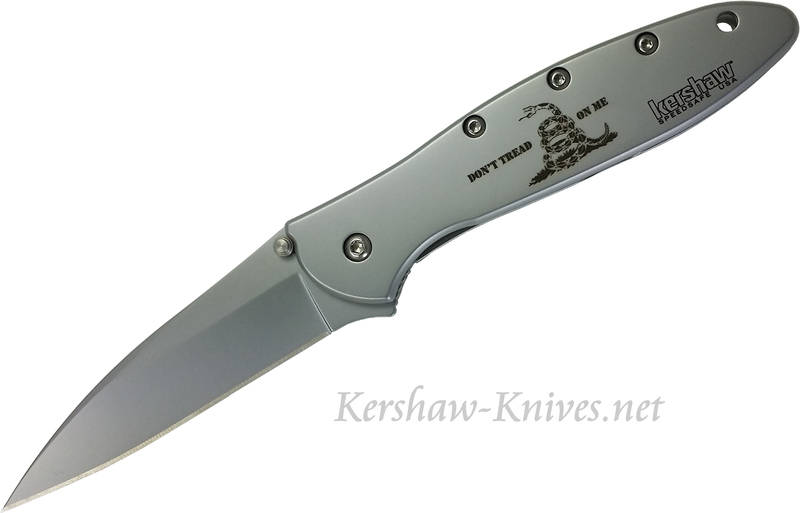 Since then the Gadsden message has become a piece of Americana and looks good on just about anything American, or made in the USA, just like this Kershaw Leek!